JOIN ME in giving back on #GivingTuesday™. On Tuesday, November 27th, 2018, people from all over the world will come together for one purpose: to celebrate generosity and to give. The tragic thing about cancer is that it often feels like we are robbed of so much… time, finances, pre-cancer identity, hopes and dreams, and a sense of peace. When my husband was diagnosed with neuroendocrine cancer, my world was suddenly turned upside down. I felt I had lost so much. I have grieved the loss of the person that I was before that day, the loss of the job and career that I intentionally chose to leave, and the loss of hopes and dreams. For those whose lives are touched by neuroendocrine cancer, the pain and grief can be unspeakable at times. And yet, while I may have lost many things, I have also gained so much. It is through the loss and pain that a new life has sprouted. I have been blessed with a new perspective, a new appreciation for life, new friends and community, and deeper connections with family and old friends. An acquaintance who dropped off flowers, food, or fresh produce from the farmer’s market. A friend who sat beside me while I waited for my husband to come out of surgery. A stranger who took the time to share his own experience with the treatment we would soon undergo. A doctor who extended kindness and took the time to listen. I remember all those moments. They are a balm to my soul. It is because of those moments that I want to give back. I give because I want to pay it forward. I give because I see the need for others to experience that kindness. I give because I want to make an impact for myself, my zebra, and for other zebras. I give because I want to inspire hope. 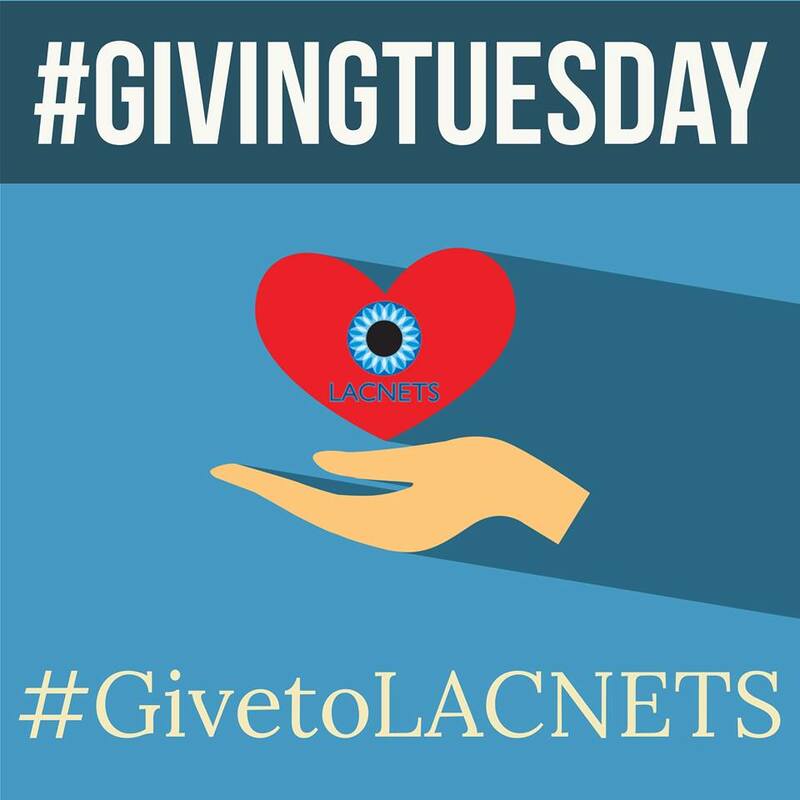 With your help, LACNETS will be able to provide its programs free of charge to those whose lives have been affected by neuroendocrine cancer. Join me in giving a year-end gift to LACNETS. To learn about other ways to give back to LACNETS, click here. Lisa Yen was a nurse practitioner hospitalist for over 12 years prior to her husband’s diagnosis with advanced, metastatic pancreatic NET in January 2015. As a medical professional, a caregiver, and most recently, a health coach to NET patients, she brings a unique perspective to LACNETS. In her role as Program Director, she works with the team to plan content for the monthly educational meetings and annual patient educational conference as well as developing such as NETConnect and a program to offer health coaching to NET patients. Her passion is to help improve the quality of life for those who have been touched by NET. The mission of the Los Angeles Carcinoid Neuroendocrine Tumor Society (LACNETS) is to provide a community of support and education for patients with neuroendocrine cancer and to advocate for all people impacted by this rare disease by expanding awareness and by voicing the patient’s perspective in collaborative dialogue with healthcare professionals. The impact of LACNETS is both local and global. Our local community includes patients, family members and caregivers who attend monthly meetings and participate in our annual conference. We serve the broader community of people impacted by neuroendocrine cancer through social media, via email, and through our online archive of videotaped presentations. LACNETS patient education efforts have impacted the lives of hundreds of patients. LACNETS reaches more than 525 people annually through the monthly education meetings and an annual conference, and has an online community of more than 1,000 people. Sign up to receive news and updates from LACNETS.